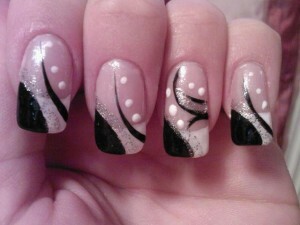 If you’re new to the nail design world or even if you’re experienced, easy nail designs are probably the most popular. 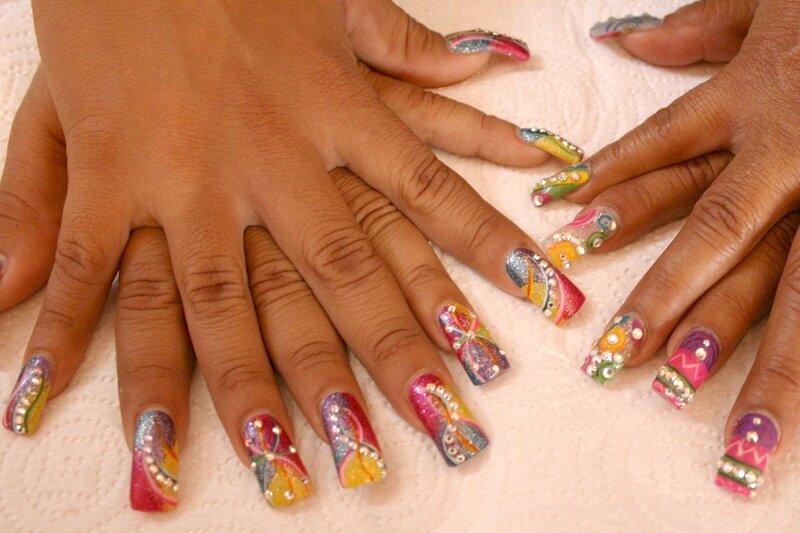 They can be your first step on the ladder to becoming a nail design expert if you’re completely new to it. 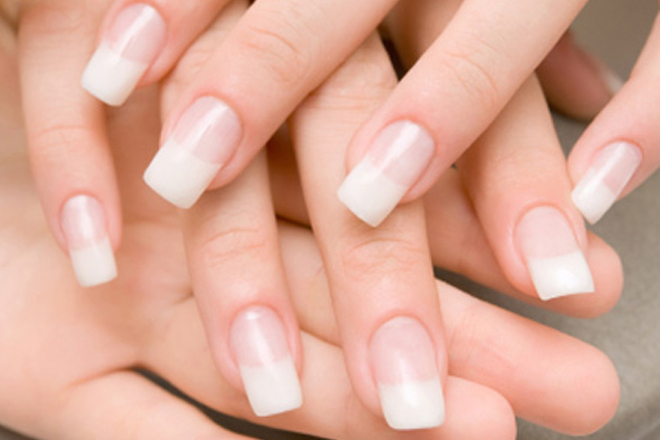 Alternatively, if you’re already very knowledgeable and skilled in nail designing and nail art but are feeling lazy, or just want a new, easy technique to create a professional design, then these simple nail designs are perfect for you. 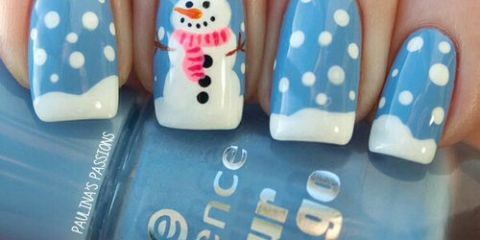 Nail trends and designs will change on a regular basis, but the easy designs will always be some of the most wanted as there will continue to be new people becoming interested in nail art. The designs below are also the simplest way to complete an outfit and give it that added edge to make you stand out. 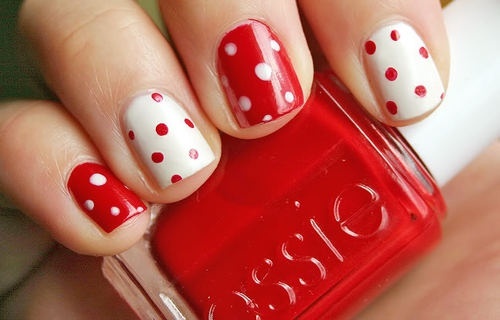 If you haven’t got much time but need to look your best, an easy nail design will complement whatever you’re wearing. They can either give you a professional look without requiring a massive amount of skill or talent but still make you look great, or just be fun and enjoyable throughout your normal day. You can also get inspiration and ideas for beginner nail designs to get you started in developing your nail skills from the selection below. Some the images you’ll find below will require some extra tools to help get them exactly right. Most of these will be simple, basic nail tools that help you to create the patterns you want accurate and neatly. Sometimes doing nail art completely freehand can be tricky, and probably not the best idea for anyone new to it. So seeing as these are easier designs then using a tool to aid you is only sensible. A dotting tool is one of the most useful for doing simple nail designs as they are simple to use but give you the freedom to come up with all sorts of different patterns involving dots. Many of the designs here feature dots so consider investing in a dotting tool to really get your nails looking professionally done. Stripes are also a really great design that look brilliant but are fairly simple to do. 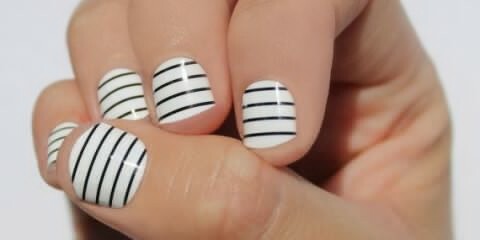 Once again a basic tool can be used to make them perfect – nail striping tape. 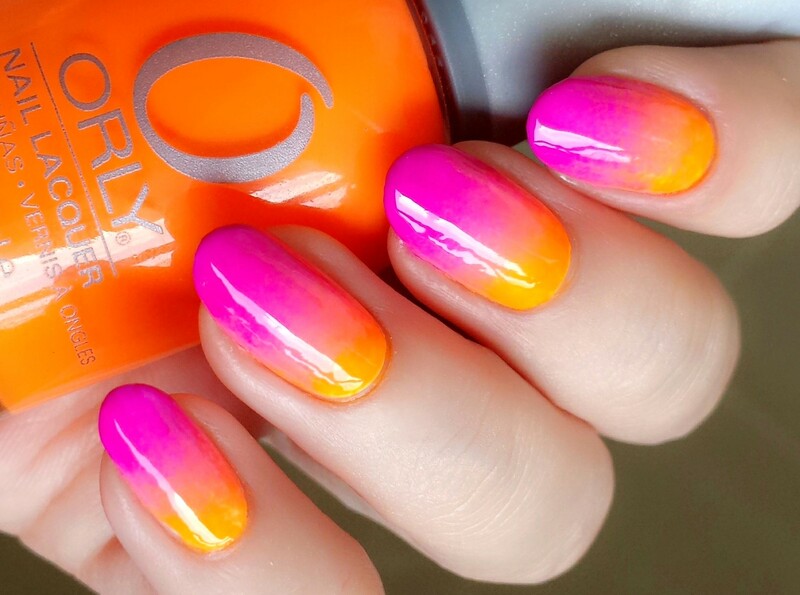 Use the tape across your nails in various positions and widths to your liking and apply different coloured polish to make bold and eye-catching stripes. 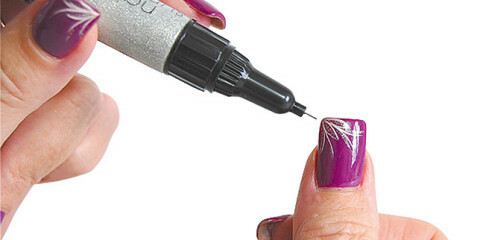 Other tools can also be used like nail art pens, stamps, accessories like jewels and decals to add some extra bling and sparkle, and many more. Some are for the more advanced and won’t be needed for basic designs, and none of them are necessary (don’t feel like you have to rush out and buy a whole set of nail art pens and brushes), but they can definitely open you up to some greater ideas and improve your skills. 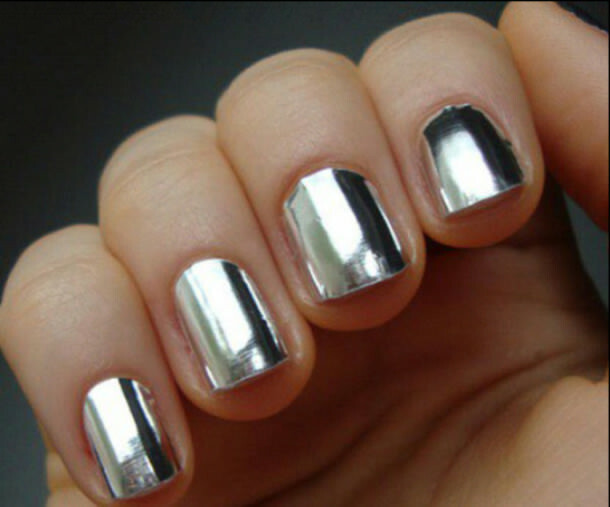 The most important thing to remember though – doing your nails should be, fun. It’s very easy to become bored with neutral or block coloured nail polish, and the creativity that designing your own nails gives you the freedom to let your imagination run wild. So go forth and do nails designs! 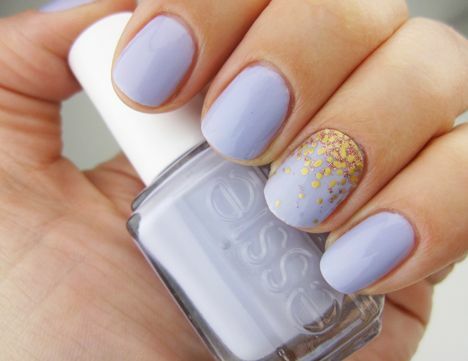 Below you’ll find some quality video tutorials and a selection or easy nail designs and images to give you guide and motivation for you to do your own nail designs. 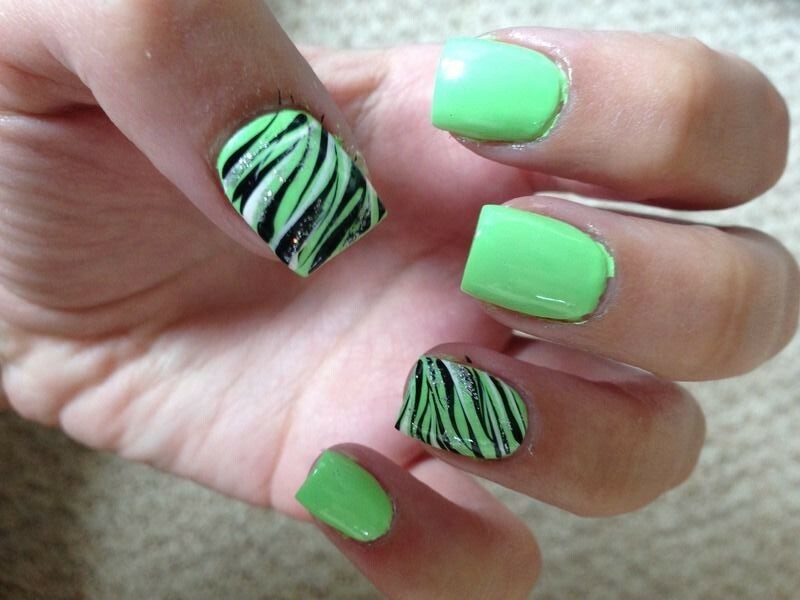 If you want to purchase acrylic nails or other tools to help you get the best nails, like nail pens, dotters, striping tape and jewels, which are used to achieve many of the designs below, head over to nail resources and tools page for a run down of the best items.